Inflammation is something that affects everyone from time to time – be it through injury or illness. However, chronic inflammation is a serious precursor for many of the world’s biggest killers such as cardiovascular disease. One way to counteract inflammation – short or long term – is with the use of anti inflammatory supplements. 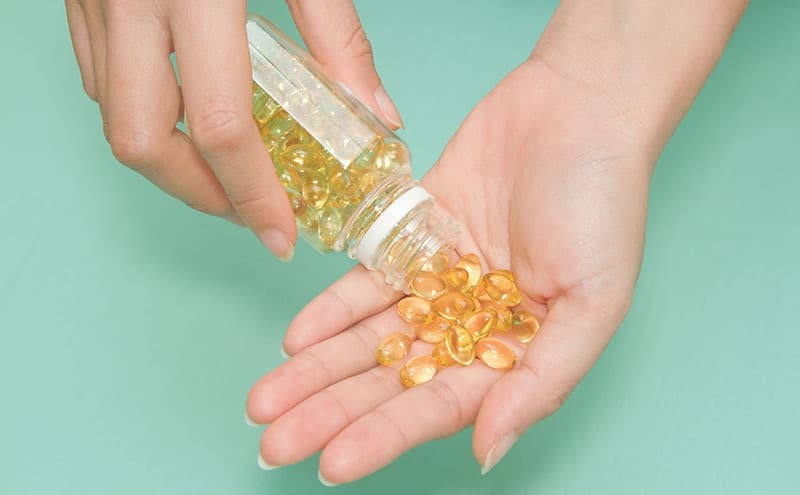 But what are the best anti inflammatory supplements to take in 2019? Read on to find out. 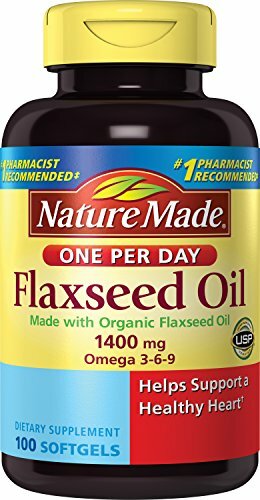 Flaxseed Oil is a plant-based source of essential fatty acids including the omega-3 alpha linolenic acid (ALA). Consumption of omega-3 fatty acids helps support a healthy heart. We’ve all done it right? You’re walking casually down the sidewalk and out of nowhere you turn your ankle. Fast forward two hours and the whole bottom half of your leg is hot, red and the size of a watermelon. This, is what inflammation looks like. Inflammation is a naturally occurring condition that presents itself as pain and swelling. Although inconvenient and uncomfortable, it’s a crucial part of the healing process when you are injured. Inflammation also helps your body to fight infection and heal damaged tissue. (source) However, this should be a short term process where the onset is triggered by injury. Inflammation can become chronic when your body either fails to shut off this process or inflammation happens without any apparent trigger. Chronic inflammation can be limited to one area such as the skin, sinuses, prostate, gums or bladder or it can be a whole-body condition. When this happens, it becomes the stepping stone for most modern western diseases. Cardiovascular disease (source), type 2 diabetes (source), Alzheimer’s (source), Parkinson’s (source) and arthritis all have inflammation as a route cause, therefore, it is clear to see why getting the condition under control is so important. Anti inflammatory supplements are a milder approach to treating inflammation which have been shown to be incredibly effective while remaining safe and natural. Bearing all of the above in mind, choosing an anti inflammatory supplement can be a bit of a headache when doing so for the first time. Should you go with fish oil or curcumin? Pills or powders? Cheap or expensive? The list of choices seems endless. That is why I have attempted to take the hard work out of the decision making process and share with you five top products among the best anti inflammatory supplements to take in 2019. I have listed pros and cons for each as well as leaving you with my overall favorite product. Hopefully, this will make choosing your next anti inflammatory supplement an easy decision. This product is a turmeric cucumin supplement with with 1350 mg of turmeric and 95% curcuminoids per serving. It comes in capsule form and offers a 30 day supply at a good price, is vegan friendly and free from most allergens. 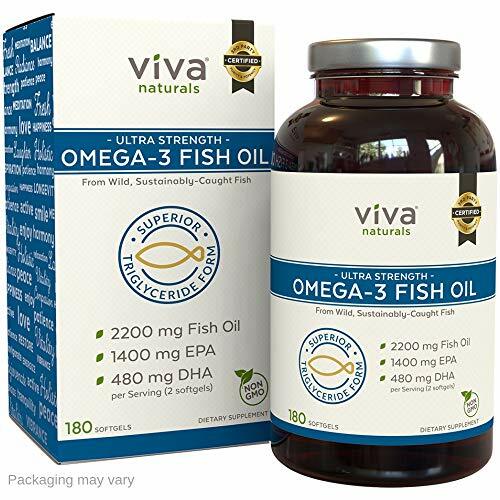 This fish oil supplement from Viva Naturals offers 2000 mg of omega 3 and is aimed at reducing joint inflammation and promoting heart health. This product offers a pure, clean source of fish oil which is made in the USA and triple tested and IFOS 5 star certified. It comes in softgel form and offers a 3 month supply of 180 softgels with 2 softgels daily the recommended dose. Although excellent quality, this product is extremely expensive. That said, you get a reasonable supply for your money. 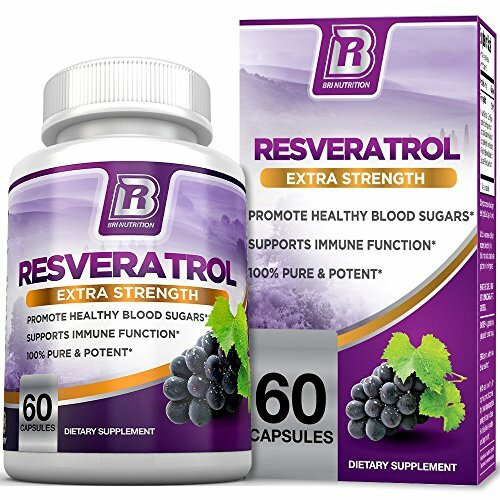 This supplement from BRI Nutrition offers 1200 mg of resveratrol per serving in capsule form. It comes in vegan friendly capsules with no allergens making it suitable for most users. Made in the USA in a GMP facility this is one of the best resveratrol supplements around. However, this is incredibly expensive especially as it only offers a 30 day supply. This supplement comes from the well known supplement manufacturer NOW Foods. 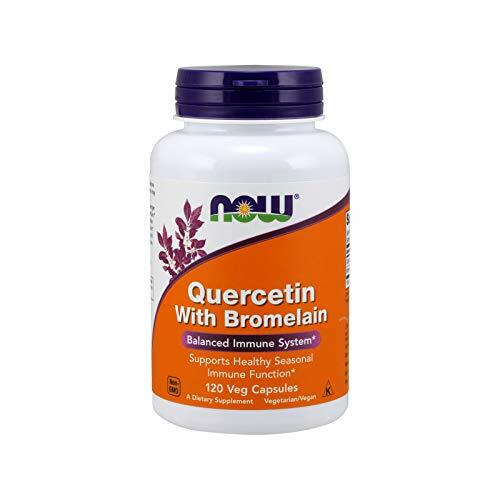 It is a combination of both quercetin and bromelain. This product comes in vegan friendly capsules and contains no gluten, wheat, soy, eggs or shellfish. Also, this product is made in the USA in a GMP facility and is a middle of the road price. The only downside to this product is the fact that many users have experienced adverse side effects including diarrhea and gastrointestinal discomfort after use. This supplement is made from organic flaxseed oil in the softgel form and comes from the well known supplement manufacturer Nature Made. This product offers 700mg of omega 3 designed to promote heart health and reduce inflammation. They are reasonably priced and made in the USA and are gluten free. These softgels are absolutely huge and if you find swallowing pills difficult in general, you will probably want to try an alternative. 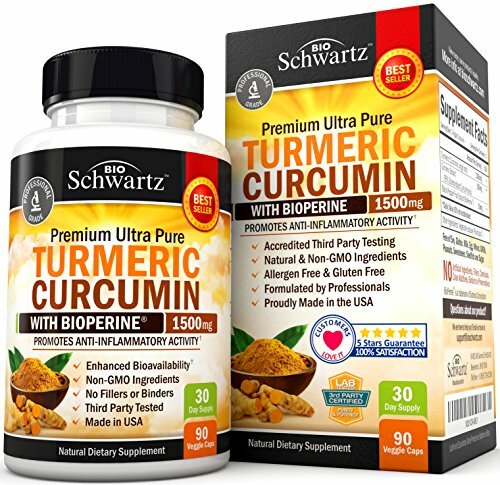 For me it has to be the turmeric supplement from Schwartz Bioresearch. Not only is this a potent supplement with 95% curcuminoids but also the fact that it is made in the USA at a GMP facility and is third party lab tested gives assurance in the level of quality you are buying. Best of all it comes at a good price. Therefore, I think this would be a good option for anyone looking for a quality anti inflammatory supplement. What Is the Best Boswellia Supplement Brand in 2019?